This crystal-free form of exfoliation helps give a smoother, fresher appearance to the skin. It helps diminish the appearance of sun damage, fine lines and wrinkles, enlarged pores, and acne. This quick treatment includes cleansing, dermafiling, and finishing products. Not all skin types are suited for dermafiling so a consultation is recommended to determine which method of exfoliation is best for your skin condition. Dermafiling may also be added to a facial (see facial upgrades). A series consists of 6 treatments spaced 1-2 weeks apart. Series discount reflects one free treatment. 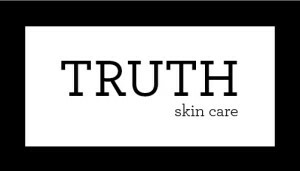 Truth Skin Care offers a variety of chemical peels ranging from a soft glow instant result with no down time to intensive resurfacing to repair skin damage or the effects of aging. The appropriate acids and level of peel will be determined by skin type and client concerns. A peel series will consist of 4-6 peels depending upon the depth of peels and may also be combined with microdermabrasion. Down-time peel excellent for acne, hyperpigmentation, and all skin conditions that need a strong exfoliation. You may experience up to 7 days of peeling as this peel exfoliates the epidermis down to the basal layer. *This peel requires a free pre-consultation and use of pre and post-treatment products. Cost includes additional depigmenting treatment. Not recommended as a first peel. These treatments are for microcurrent or LED alone and are not incorporated into a longer facial. Mild microcurrents stimulate and tone facial muscles which aid in temporarily reducing the appearance of fine lines and wrinkles. While you will see results with one treatment, a series with maintenance is recommended for cumulative, lasting results. Includes cleansing, microcurrent treatment, and finishing products. LED involves treatment under red, blue, or green light. Light chosen is based on skin condition. A series consists of 12 treatments (2 treatments per week for 6 weeks). After the series is completed, a touch-up treatment is suggested once every 4-8 weeks to maintain and build upon cumulative results. Series price discounted to reflect one free treatment. SWiCH is an effective alternative to chemical peels that triggers your skin’s repair system without injury to the skin. This breakthrough dermal rejuvenation treatment works by boosting the energy in the cell resulting in a more organizing and denser collagen/elastic matrix and leaves the skin luminous, healthier, clearer, and firmer. Cellular turnover can increase up to 25%. It can be performed every four weeks and 8-10 treatments are recommended for optimal results. There is no down time with this treatment. © Copyright 2007-2013 Truth Skin Care - All Rights Reserved.